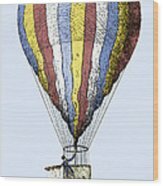 Lunardi's Balloon, 1784 iphone x case by Sheila Terry. Protect your iPhone X with an impact-resistant, slim-profile, hard-shell case. The image is printed directly onto the case and wrapped around the edges for a beautiful presentation. Simply snap the case onto your iPhone X for instant protection and direct access to all of the phone's features! 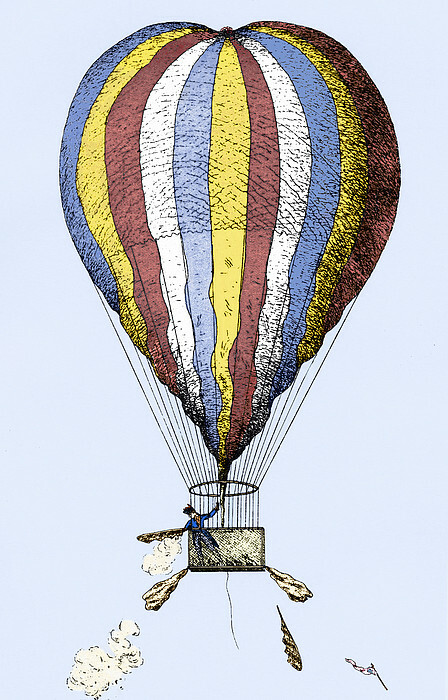 There are no comments for Lunardi's Balloon, 1784. Click here to post the first comment. 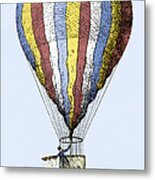 Lunardi's balloon. Historical artwork of the hydrogen balloon ascent made in England by the Italian Vincenzo Lunardi (1759-1806), on 15 September 1784, the first ever balloon ascent in the UK. On this ascent, Lunardi experimented with the use of oar-like devices for steering, but one of them broke (lower left). This ascent was made in front of a large crowd of around 100,000, including the Prince of Wales, at London's Royal Artillery Ground at Finsbury. Lunardi ascended high enough to rise above the clouds, and landed several kilometres north of London. 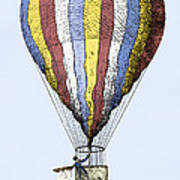 Lunardi went on to make many more balloon flights in England, Scotland, Italy, Spain and Portugal. Artwork from Astra Castra (Hatton Turner, London, 1865).